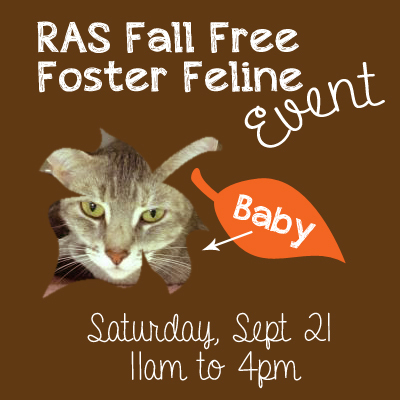 RAS Fall Free Foster Feline Event! This Saturday, September 21, many of the RAS foster cats, like Baby, will be at the shelter at 184 Verona Street from 11am to 4pm. All current foster cats are up for adoption FREE of charge. Stop by and meet your purrfect new friend! Check out the foster cats here http://bit.ly/RAScats and share the news! 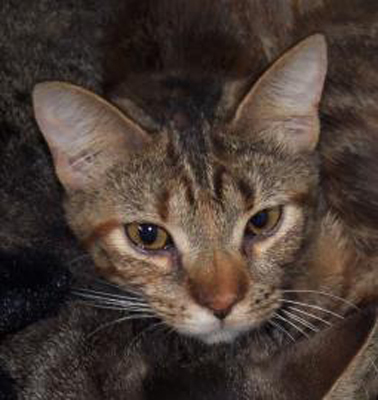 Sasquatch #20624124 Sasquatch is a 2 year old female domestic shorthair in need of a new home. She's small and sweet and has lots of love to give! Come meet her at Lollypop Farm!